While mass marketing and advertising has largely subsided for the (PRODUCT)RED campaign and the companies that partner with the initiative change from time to time, the program is still in full swing. To refresh, (PRODUCT)RED is an initiative that was founded by U2 Frontman Bono in 2006 with the purpose of engaging the private sector to help raise funds and awareness for the elimination of AIDS in Africa. Leading companies across many industries produce and sell items bearing the (PRODUCT)RED logo with a portion of the profits being donated to The Global Fund. The ultimate goal is to eliminate the transmission of HIV to newborn babies and deliver the first AIDS free generation in over 30 years — by 2015. To date, the program has raised more than $250 million for the Global Fund to fight AIDS, Tuberculosis and Malaria, and to support HIV/AIDS grants in many African nations. Companies like Apple, Gap and American Express have been sponsors since the beginning, but the list of partnerships has grown significantly since the original launch. Today, consumers can purchase anything from iPods to purses to vodka consequently assisting in this mission. That is the beauty of a campaign such as this. No one is specifically being asked to change their normal behavior, but just to be a little more conscious when shopping for items they would ordinarily shop for. There are a number of (PRODUCT)RED items currently available for purchase, but below are some of my favorites! Bottletop designs with technique across cultures and creates collections that celebrate a timeless ‘created by hand’ aesthetic. 10% of the purchase of every Bottletop Special Edition item will go to the Global Fund. In addition, a portion of each purchase supports the Bottletop Foundation, which empowers young people to make healthy lifestyle choices and protect themselves from HIV/ AIDS. An internationally recognized design brand offering decorative objects, tabletop collections, bedding, bath accessories, gifts, candles, furniture, rugs, pillows, and lighting. 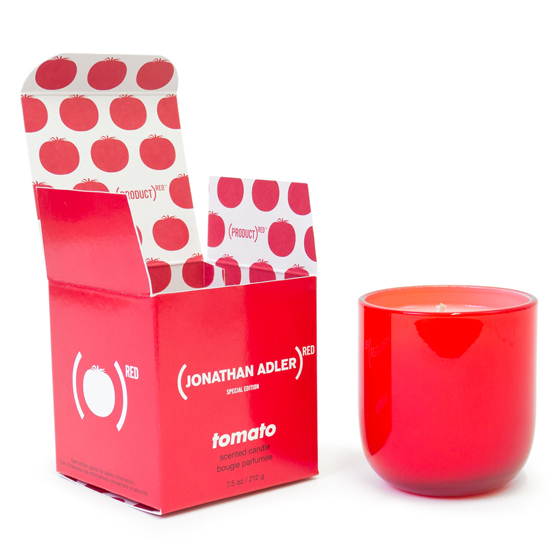 10% of the retail price of this special edition candle will be donated to the Global Fund. 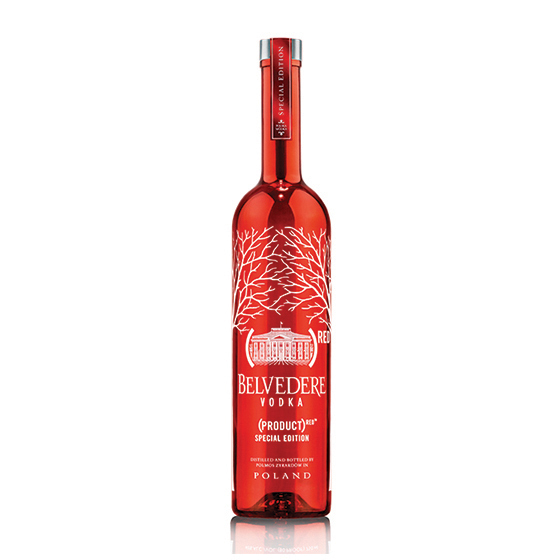 Belvedere is considered the world’s first luxury vodka, is authentic and natural, and handcrafted the way Polish vodka has been made for over 600 years. 50% of the gross profits from the purchase of every Belvedere special edition bottle will go to the Global Fund. But don’t just take my word for it. Check out the website to learn more about (PRODUCT)RED or see if there is a T-shirt, iPod or any other item that tickles your fancy!